First of all I thank all my friends for giving tremendous support to my website IndiaProperty365.com. In turn I want to give something for you which will be very useful to you. So I’ve decided to add some more real estate news to this site. Especially for Chennai people and the people who are looking to buy property in Chennai. It includes Land, Plots, Villas, Independent House, Apartments, Agricultural Land, Rent and Lease. Now the question is, where I can get the details of the property. YES, you’re right it is almost nearer to impossible for me to list all the properties which are available in Chennai at one place. I am not running such a giant real estate site. But I can do one thing for you. YES I can give the Property EXPO Details or Property Fair Details which are frequently conduct in Chennai Trade Center, Nandambakkam. Where you can go and get all the details you want. It is easy for you to pick the right property and also at reasonable price. I request all my friends to bookmark this page for future reference. Because I am going to update this page frequently. You can get all the Real Estate News, Property Expo – Property Fair Date Details Here at this page. I can also list Times Property Fair – Property Investment and Home Buyer Show and Credai FairPro – Credai Property Expo – Credai Property Show which are to be conducted in Chennai Trade Center, Nandambakkam to be listed here in this page. So it’s a great opportunity for Chennai People to get all the real estate fair details at one place. I request my friends to visit this page once in a week so that you never miss single event which are to be conducted in Chennai Trade Center. I also request my friends to go through all the properties listed here in this website. 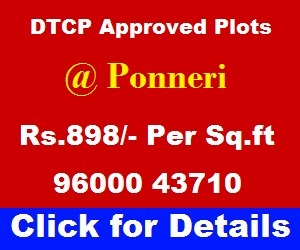 So that you can have a chance before going to Chennai Fair Pro you’ll decide your property here itself. I’ve listed only the best properties which are available in and around Chennai. So you can believe me 100%. I am listing only the best properties which are available now and also at reasonable rates. I give you 100% assurance to these properties which are listed here in this site. Exclusive List and Confirmed Dates. Weld India Expo – 2017 – (3674Sqmts)Hall 3 – 07 to 09 Dec 2017. Wholesale Furniture Expo – 2017 – (2948Sqmts)Hall 1 – 08 to 10 Dec 2017. NDE – 2017 – (4400Sqmts)Hall 3 – 14 to 16 Dec 2017. Year End Shopping Festival – 17 – (4400Sqmts)Hall 1 – 15 to 17 Dec 2017. FRO – 2017 – (1760Sqmts)Hall 2 – 16 to 17 Dec 2017. Jumbo Discount & Year End Sale – 2017 – (6160Sqmts)Hall 2, Hall 3 – 22 to 25 Dec 2017. The Architech & Construction Specialty Expo – 2017 – (2200Sqmts)Hall 1 – 22 to 24 Dec 2017. Electronics & Furniture Expo – 2017 – (4400Sqmts)Hall 1 – 29 Dec 2017 to 01 Jan 2018. SRW Water Expo – (4400Sqmts)Hall 1 – 04 to 06 Jan 2018. Automotive Testing Expo – 2018 – (6160Sqmts)Hall 2, Hall 3 – 10 to 12 Jan 2018. Education Expo – 18 – (1760Sqmts)Hall 2 – 20 to 21 Jan 2018. Financial Awareness Trade Show – 18 – (2200Sqmts)Hall 1 – 20 to 21 Jan 2018. IILF – (10560Sqmts)Hall 1, Hall 2, Hall 3 – 01 to 03 Feb 2018. Water Expo – 2018 – (10560Sqmts)Hall 1, Hall 2, Hall 3 – 08 to 10 Feb 2018. TTF-2018 – (2948Sqmts)Hall 3 – 16 to 18 Feb 2018. Rotary Dist Conference – 2018 – (1452Sqmts)Hall 3 – 17 to 18 Feb 2018. Foodstyle Expo & Health and Cosmetic Expo – (1452Sqmts)Hall 1 – 17 to 19 Feb 2018. Fairpro – 2018 – (10560Sqmts)Hall 1, Hall 2, Hall 3 – 23 to 25 Feb 2018. India Engineering Sourcing Show – 2018 – (10560Sqmts)Hall 1, Hall 2, Hall 3 – 08 to 10 Mar 2018. ABI – 2018 – (2200Sqmts)Hall 1 – 16 to 18 Mar 2018. GJIIE – 18 – (10560Sqmts)Hall 1, Hall 2, Hall 3 – 23 to 25 Mar 2018. Expodent – 2018 – (6160Sqmts)Hall 2, Hall 3 – 07 to 08 Apr 2018. Education Fair – 17 – (1760Sqmts)Hall 2 – 14 to 15 Apr 2018. Ashok Leyland Global Conference- 2018 – (6160Sqmts)Hall 2, Hall 3 – 19 to 21 Apr 2018. Asia Labex Show – 2018 – (4400Sqmts)Hall 1 – 19 to 21 Apr 2018. Sign Today NPrint & Packtech Today – 2018 – (6160Sqmts)Hall 2, Hall 3 – 27 to 29 Apr 2018. Lions Clubs International MD 324 Annual Convention – (1452Sqmts)Hall 3 – One Day-06 May 2018. Architect & Interior Expo – 18 – (4400Sqmts)Hall 1 – 11 to 13 May 2018. Annual Day – 18 – (10560Sqmts)Hall 1, Hall 2, Hall 3 – One Day-26 May 2018. Roof India – 2018 – (4400Sqmts)Hall 1 – 07 to 09 Jun 2018. Elecxpo, Compack, Solar South, Food South – 2018 – (9834Sqmts)Hall 1, Hall 2, Hall 3 – 14 to 16 Jun 2018. ACMEE – 2018 – (10560Sqmts)Hall 1, Hall 2, Hall 3 – 21 to 25 Jun 2018. CBRE Prop Fair -18 – (2948Sqmts)Hall 1 – 29 Jun to 01 Jul 2018. Pharmac South – 2018 – (2200Sqmts)Hall 3 – 06 to 07 Jul 2018. Space Convergens India – 2018 – (2200Sqmts)Hall 3 – 06 to 08 Jul 2018. India Mattress Tech Expo – 2018 – (4400Sqmts)Hall 3 – 12 to 14 Jul 2018. ABCL Expo, Broadcast Today, Image Today – 18 – (10560Sqmts)Hall 1, Hall 2, Hall 3 – 20 to 22 Jul 2018. MEDICALL – 2018 – (10560Sqmts)Hall 1, Hall 2, Hall 3 – 27 to 29 Jul 2018. Dental Show – 2018 – (1760Sqmts)Hall 2 -04 to 05 Aug 2018. CAA- Garment Fair – 2018 – (6160Sqmts)Hall 2, Hall 3 – 08 to 10 Aug 2018. IIOO – 2018 – (8360Sqmts)Hall 1, Hall 2, Hall 3 – 18 to 20 Aug 2018. Aahar – 2018 – (4400Sqmts)Hall 3 – 23 to 25 Aug 2018. CUSP – 2018 – (1452Sqmts)Hall 3 – 27 to 30 Sep 2018. FISITA World Congress – 2018 – (8360Sqmts)Hall 1, Hall 2, Hall 3 – 03 to 05 Oct 2018. 43rd AOMSI Conference – 18 – (2948Sqmts)Hall 3 – 12 to 13 Oct 2018. Chennai Jewellery & Gem Fair – CJGF – 18 – (6160Sqmts)Hall 2, Hall 3 – 19 to 21 Oct 2018. FCBM Conference – 18 – (4400Sqmts)Hall 3 – 30 Nov to 02 Dec 2018. ABCL Expo & India Camera Expo – 2018 – (6160Sqmts)Hall 1, Hall 2 – 07 to 09 Dec 2018. Architech & Construction Speciality Expo – 2018 – (2200Sqmts)Hall 1 – 21 to 23 Dec 2018. ASICON – 2018 – (10560Sqmts)Hall 1, Hall 2, Hall 3 – 26 to 30 Dec 2018. India Bakery Expo – 2019 – (4400Sqmts)Hall 3 – 25 to 27 Jan 2019. IILF-2019 – (10560Sqmts)Hall 1, Hall 2, Hall 3 – 31 Jan to 03 Feb 2019. Fairpro – 2019 – (10560Sqmts)Hall 1, Hall 2, Hall 3 – 15 to 17 Feb 2019. Water Expo & Renewable Energy Expo – 2019 – (10560Sqmts)Hall 1, Hall 2, Hall 3 – 21 to 23 Feb 2019. GJIIE – 2019 – (10560Sqmts)Hall 1, Hall 2, Hall 3 – 08 to 10 Mar 2019. Chennai Jewellery & Gem Fair – 2019 – (6160Sqmts)Hall 2, Hall 3 – 27 to 29 Sep 2019. ACMEE – 2020 – (10560Sqmts)Hall 1, Hall 2, Hall 3 – 18 to 22 Jun 2020.